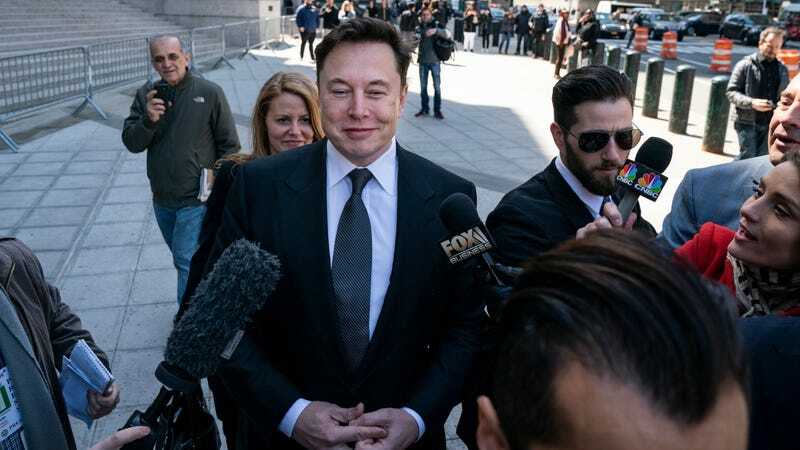 Elon Musk’s prolonged battle with the SEC over his tweets reached a tentative conclusion on Thursday. For now, he’s still allowed to post and you better believe he will excercise that right. Musk “recklessly tweeted out information that has no basis in fact,” SEC attorney Cheryl Crumpton said in court. The courtroom was packed with observers, sketch artists, and journalists. Musk’s tweets became weirder and less related to Tesla but in February he posted a tweet saying “Tesla made 0 cars in 2011, but will make around 500k in 2019.” That is also inaccurate and Musk proceeded to correct that the company would deliver 400,00 models but that annualized production would be around 500,000. Now the two parties — not to mention Tesla itself — have two weeks to resolve the dispute or else they may end up right back in court. The courtroom appearance doesn’t seem to be doing Tesla any favors as, combined with news of the company’s biggest sales drop in its history, the auto maker’s stock dropped 8 percent on Thursday.